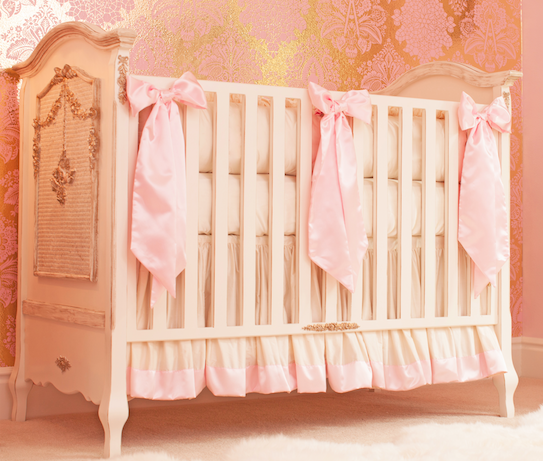 Our Ivory & Pink Silk Crib Bedding Set will take your nursery design to the next level of luxury. Each set is custom made in Los Angeles, CA, using the finest fabrics and materials. *All our crib bedding is customizable. If you would like to make any changes, please Contact Us for more information. Our crib bedding sets are custom made to order and non-returnable. 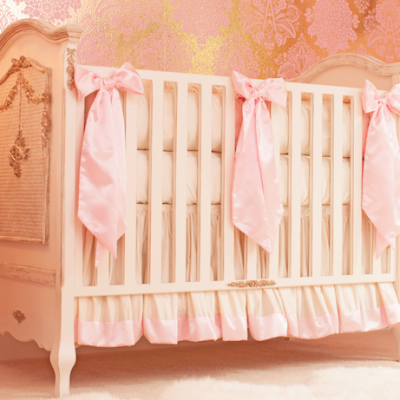 The Little Crown Interiors line of luxury crib bedding is truly one of a kind. All our crib bedding sets are designed by Naomi Alon, the interior designer behind Little Crown Interiors. Made just for you in Southern California, each piece is custom made from the finest fabrics. We believe that your nursery design should be as special as your baby, and including our custom crib bedding is the perfect way to create an elegant and unique nursery. 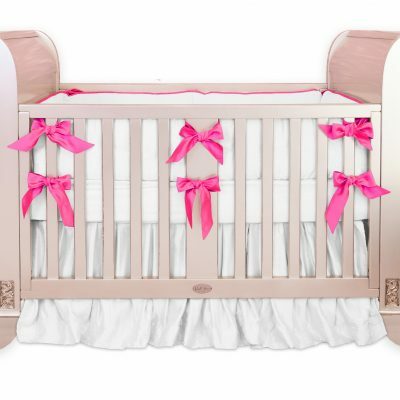 Each silk crib set includes a bumper, fitted crib sheet and crib skirt, but all of our designs are fully customizable, so if you need a different length on the skirt or want to change the color of the whole crib bedding set, just let us know. Our dupioni silk fabrics are also available by the yard – contact us for more information on yardage or on customizing your crib set.